On a dark, snowy Christmas Eve, a young man hurrying home for a family celebration enters a chandler’s shop to buy a candle for his lantern. He scoffs at the beautifully sculpted creations of the old chandler and instead purchases a simple, inexpensive Christmas candle that the chandler warns him he may find costly. 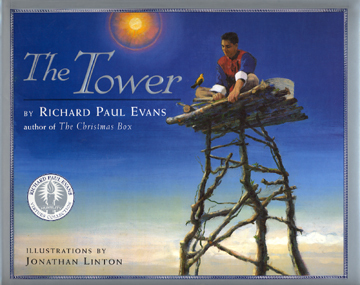 This beautifully illustrated original fable by the acclaimed author of The Christmas Box will become a treasured part of many families’ Christmases for years to come. Would you be more responsive to a brother’s request for money than to a beggar’s request for money? 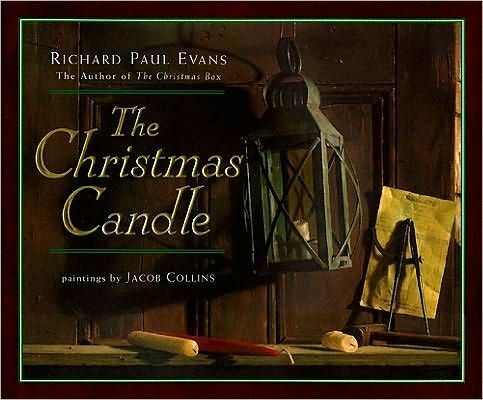 This is the question that Richard Paul Evans, author of The Christmas Box, asks his readers to consider in The Christmas Candle, a morality tale whose haunting moodiness evokes the Dickensian ghost of Christmas past. In this story, a rather unpleasant-seeming young man named Thomas is making his way home on a dark, bitterly cold Christmas Eve. 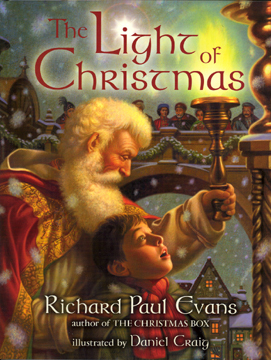 In search of a candle for his tin lantern, he pushes aside a beggar to enter the shop of a village candlemaker, who has rows and rows of candles sculpted into angels, sprites, princesses. Thomas, impatient, just wants a plain old candle. The Yoda-like candlemaker sells him one, warning cryptically, “It is only four coppers, but you may find it costly.” Indeed. 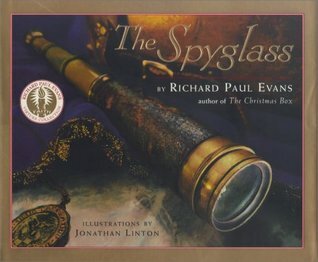 This strange candle somehow makes Thomas see his mother’s face in the face of the next beggar he encounters, and a figure lying in the gutter reveals itself to him as his brother. He gives them everything he has. Finally, penniless and cold, he reaches the music and laughter of his childhood home. When his family asks him why he has arrived empty-handed, he suddenly understands why the old man told him the candle would be costly, and his heart fills with joy: “For that Christmas Eve, a lesson was learned and taken to heart: If we will see things as they truly are, we will find that all, from great to small, belong to one family.” The Christmas Candle—heavily laden with American Realist Jacob Collins’s gloomy still-life paintings and bleak, eerily lit oil portraits of dour-faced beggars—is not exactly a joyous expression of holiday cheer. It is, however, a time-tested tale of charity that will resonate with young and old alike. 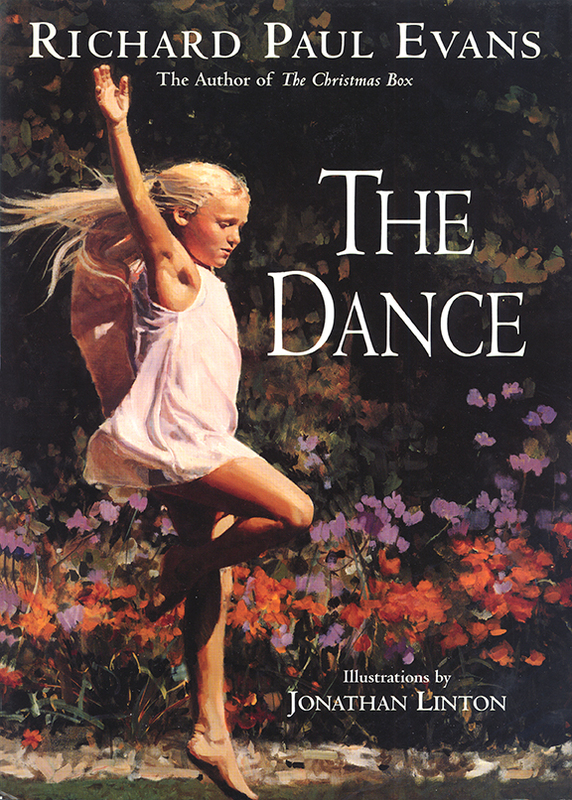 (Ages 6 and older) —This text refers to an out of print or unavailable edition of this title.